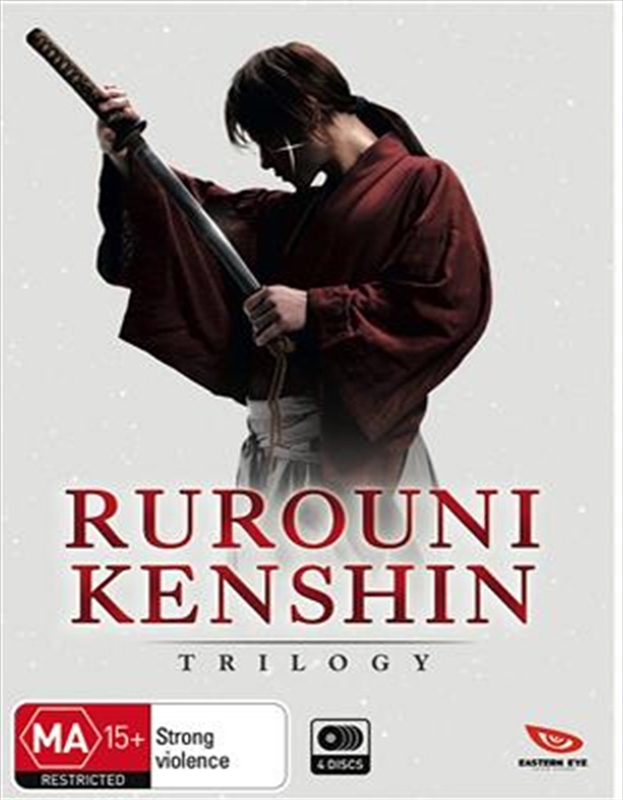 The thrilling RUROUNI KENSHIN live-action trilogy! January, 1868. The shogun's forces are defeated by a samurai uprising under a lone swordsman known as "Battosai the Killer", signalling the birth of a new era. Once legendary for his killing prowess, Battosai becomes a wanderer under the name of Kenshin Himura and vows never to kill again. But things are not so simple: faced with those who wish to return Japan to times of darkness, Kenshin is forced to grapple with what renouncing violence could mean. At the request of the new government, Kenshin journeys to the old capital of Kyoto where unrest is brewing. Awaiting him there is a man so formidable that he was once allowed to inherit the very mantle Kenshin renounced: that of sanctioned assassin. And as Kenshin discovers, this crazed menace possesses skills that may be more than a match for his own. Shishio has set sail in his ironclad ship to bring down the Meiji government and return Japan to chaos, carrying Kaoru with him. In order to stop him in time, Kenshin trains with his old master to learn his final technique. You won't want to miss this action-packed finale to what is now, undeniably, one of the greatest live-action manga adaptations ever.